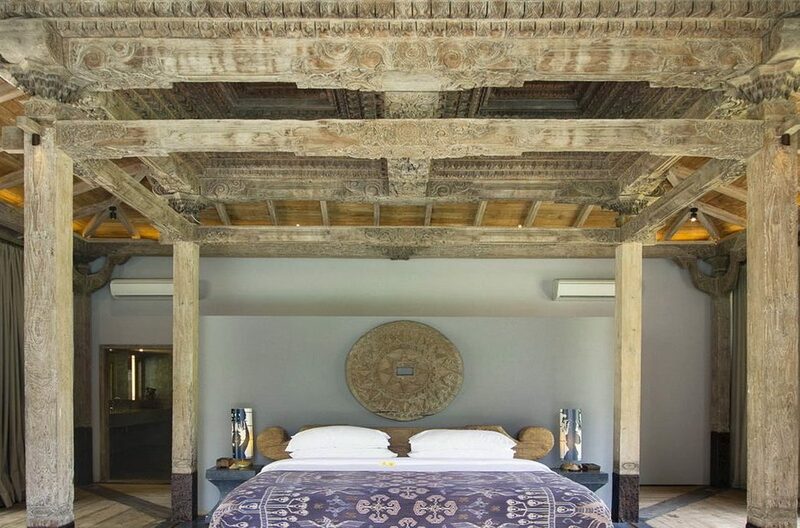 Overlooking idyllic rice fields of Pereranan by a tranquil river lays the truly magnificent Villa Hansa. 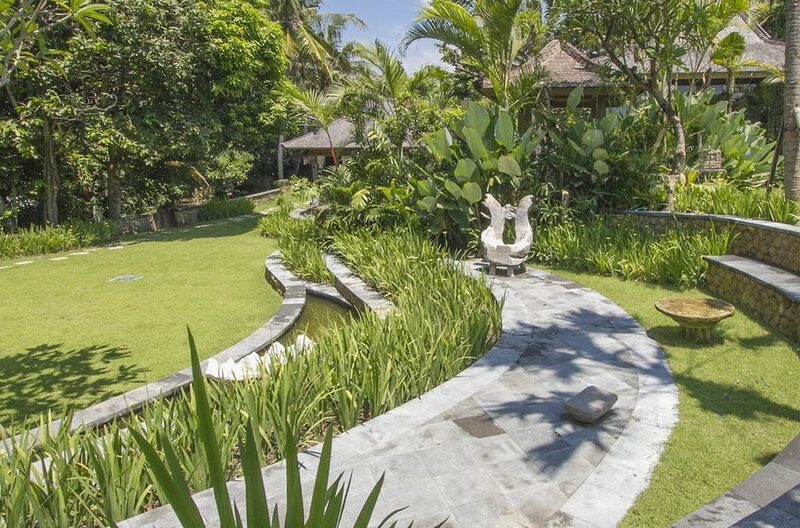 The solid antique gates of Villa Hansa open to a stone walkway bordered by a lotus and koi pond that immediately sets the exotic, deluxe mood of the property. 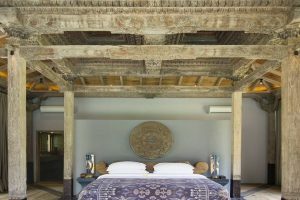 The villa contains seven spectacular bedroom suites housed in individual joglos, providing families and groups of friends with an ultra-private experience. 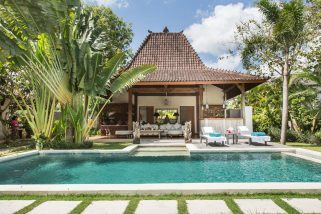 Located just past the village of Canggu, Villa Hansa marries traditional Indonesian design with contemporary luxury in the antique Javanese joglos which have been modified to provide a lavish living experience. 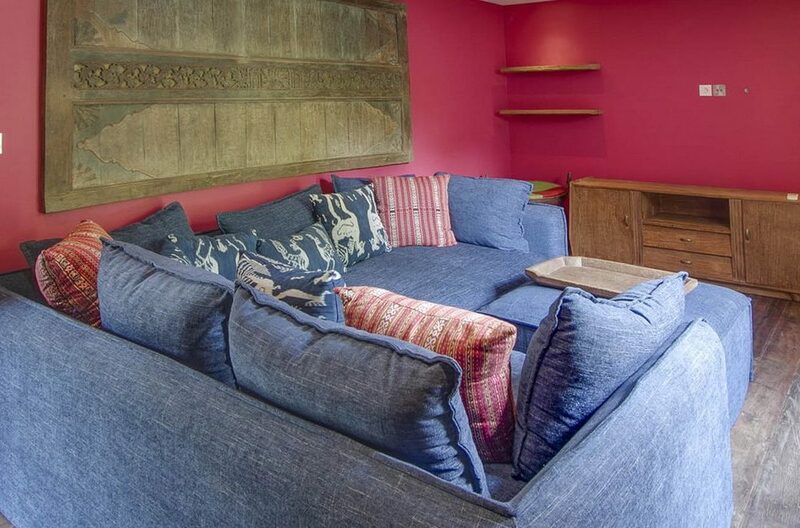 Inside, you’ll find stunning interiors adorned with deluxe furnishings and gorgeous ornaments. 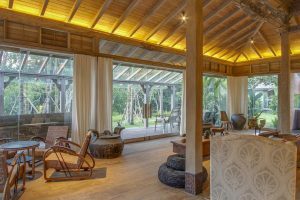 The ceiling-to-floor windows provide breathtaking views of the expansive lawn area and the luscious rice terraces beyond. 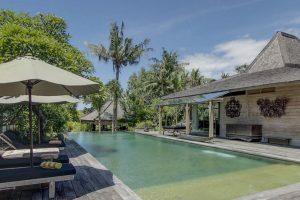 The centerpiece of Villa Hansa is an impressive 18-metre swimming pool surrounded by an entertainment space with daybeds, sun loungers, a pool table, a balé and a barbecue. The living areas at Villa Hansa will satisfy any mood: guests will adore the breadth of cozy, air-conditioned nooks and breezy, expansive outdoor spaces. You could not ask for a more epic setting for spending time with loved ones and enjoying the spectacular Bali experience. The living areas are housed in timber joglos that have been adapted to provide chic, contemporary living spaces that are incredibly spacious. 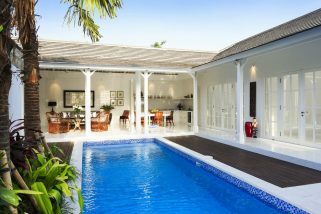 The dining area overlooks the pool and was designed in the open-plan style. The breeze washes through the space, which is furnished with an impressive, solid wood dining table that seats 10 adults, but can accommodate more if needed. 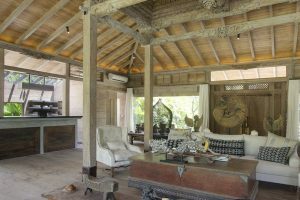 The larger living room is enclosed within a large joglo and contains several air- conditioners for your absolute comfort. This opulent space has various seating arrangements, from plush settees and armchairs, to breakfast bar stools. 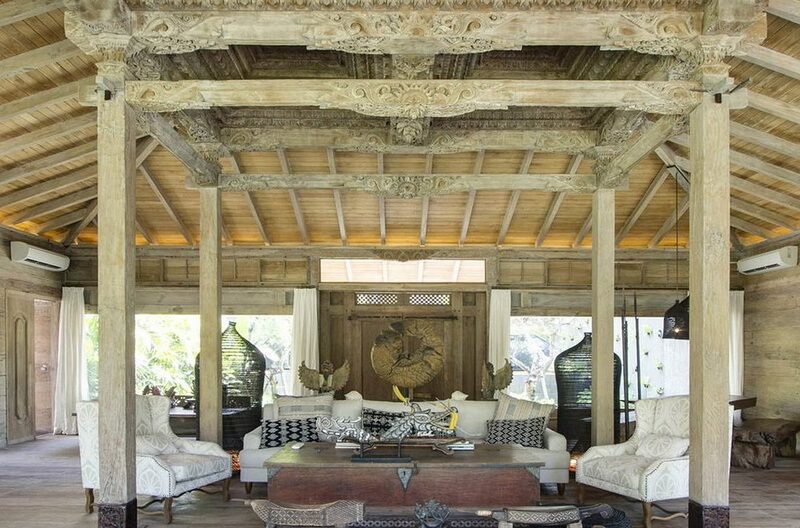 Striking ornaments and Indonesian artefacts are scattered around the room, providing a feast for the eyes in every corner and creating a beautiful antique feel. The lounge area also contains a media room that’s furnished with striking; large blue sofas adorned with colorful batik pillows. 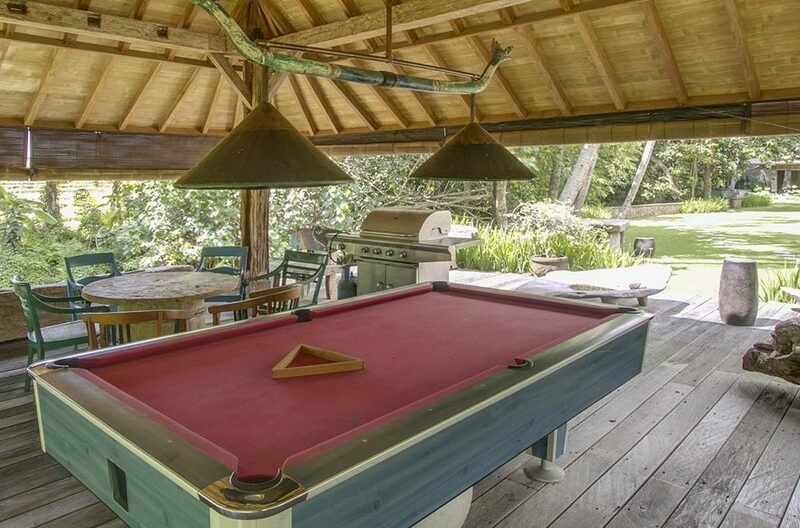 It’s the perfect setting for relaxing, so close the curtains turn on the air-conditioner and pop a DVD on. 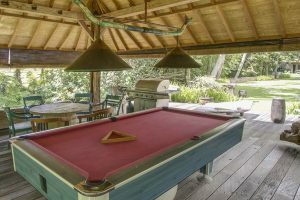 There’s also an outdoor living space with a pool table and plenty of seats around a little wooden table that’s perfect for enjoying a drink or a game of cards. Alternatively, the breezy, expansive layout makes it an ideal space for laying a yoga mat down. Why not enjoy a relaxing evening yoga practice while the palms sway in the background. If you’d prefer guidance it’s easy to hire one of many international yoga teachers for a private lesson. 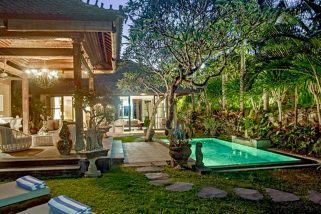 Bali is home to many spiritual types who are happy to share their knowledge – so just ask your villa manager to provide assistance. 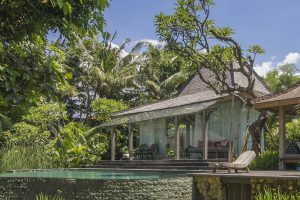 The master suite at Villa Hansa comprises of an entire wing of the villa in a joglo that overlooks a private 12-metre swimming pool surrounded with sun loungers and a lovely balé. 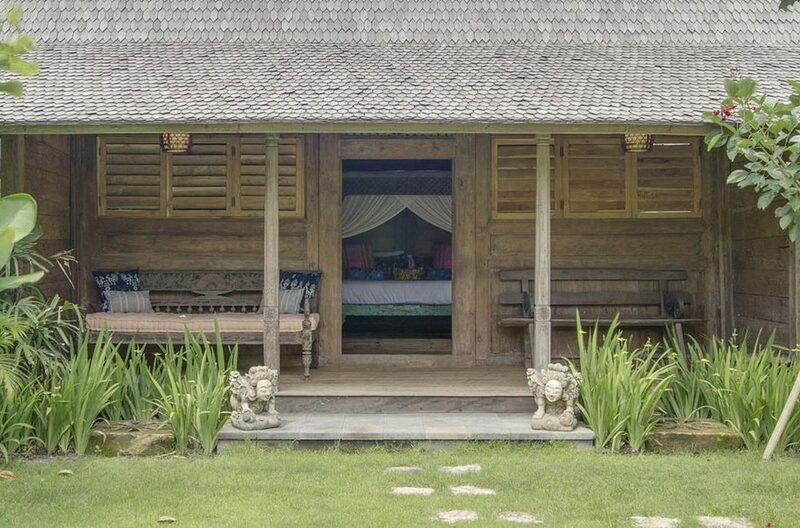 This master suite is connected to a media room that adjoins a timber gladak, (a Javanese antique wooden house) making it an ideal bedroom for younger children. All of the suites at Villa Hansa are furnished with phenomenal four-poster beds, charming little seating areas and are adorned with beautiful ornaments and paintings. 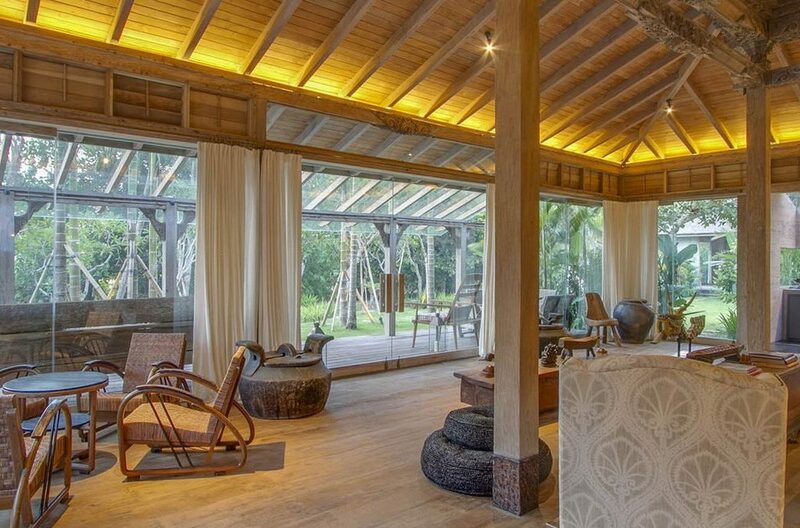 The suites are all situated to provide breathtaking views of the river, the lawn or the rice terraces through the sliding glass doors. 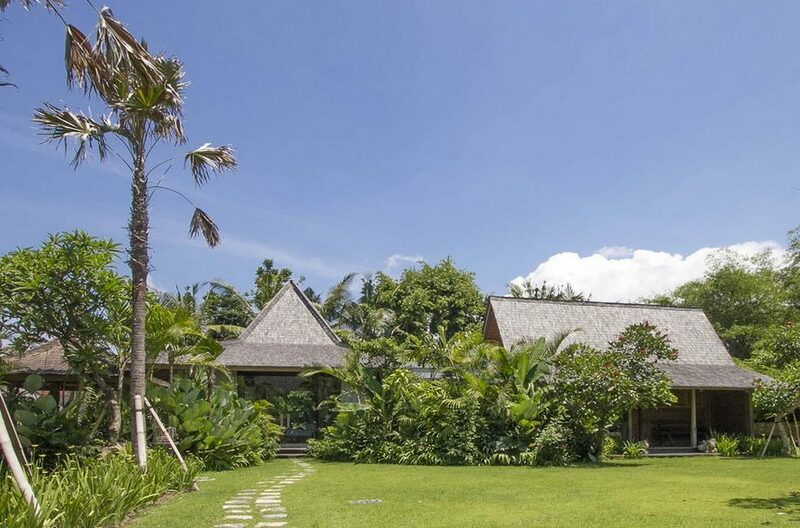 All of the rooms are fully air-conditioned and come with stunning ensuite bathrooms designed in the outdoor style typical of luxury villas in Bali. 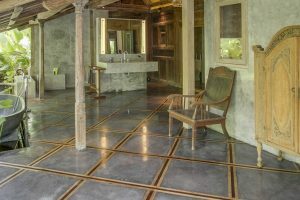 The ensuite bathrooms are truly something to behold: with gorgeous standalone tubs, a private tropical garden and all the amenities you’d expect, the bathrooms provide a blissful setting for an evening soak in frangipani flowers. A team of ten staff will ensure you’re well looked after from the moment you arrive at Villa Hansa. 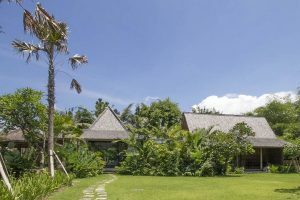 You’ll enjoy daily housekeeping, laundry, a gardener and pool attendant as well as the warm hospitality and local knowledge of the villa manager, who will ensure an absolutely seamless experience. 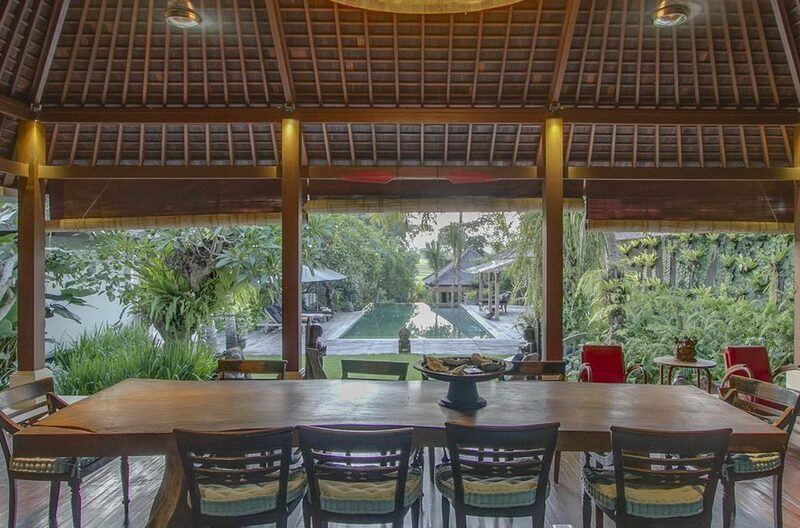 Your private chef will prepare a variety of gorgeous Indonesian or western meals at your request. 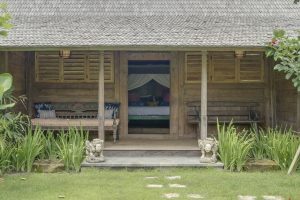 For an extra fee, you can request babysitters, masseuses and a yoga instructor so you can enjoy the Bali experience within the confines of your own private sanctuary. You may also be privy to spiritual rituals on the Island of the Gods, as every full moon at Villa Hansa is celebrated with a century-old ceremony at the riverside temple. Pereranan is a scenic, sleepy village just outside of Canggu with rolling rice fields and quiet, black sand beaches. Guests at Villa Hansa are only moments away from Echo beach, with its revered surf break and gorgeous barbecued seafood restaurants. 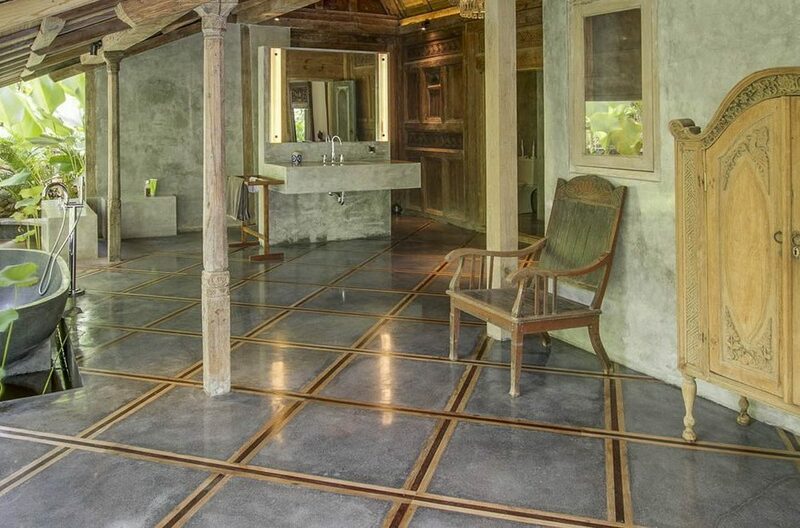 If you’re looking to get pampered, head down to Gold Dust on Batu Bolong for their signature 90-minute massage. Saunter down to the beach for a surf lesson, or pop yourself on one of the beanbags and simply enjoy the spectacle of beginners wrestling with 12-foot foam surfboards. 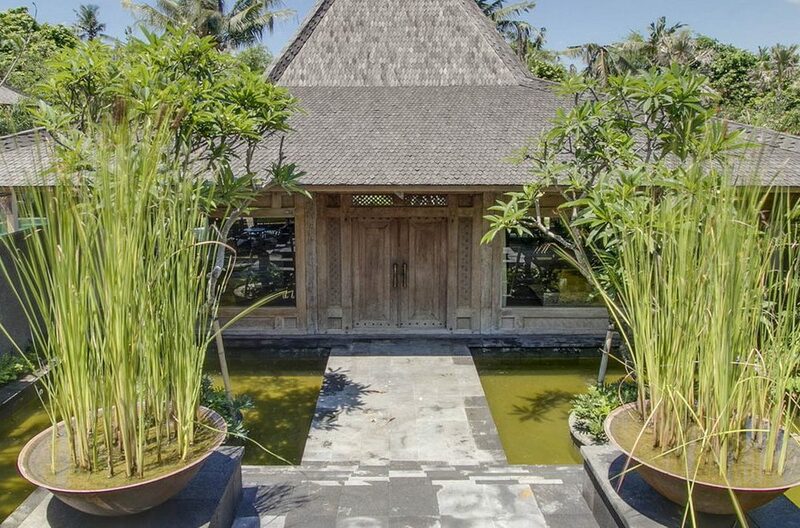 You don’t have to go to Seminyak to find quality cuisine; Canggu is now home to numerous great restaurants. Ji at Batu Bolong serves up high-end Japanese and gorgeous cocktails. Alternatively, tuck in to authentic Spanish cuisine and at the beautiful La Finca. 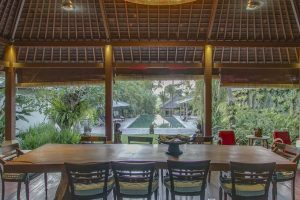 There are so many restaurants and cafes in Canggu you will be spoiled for choice. 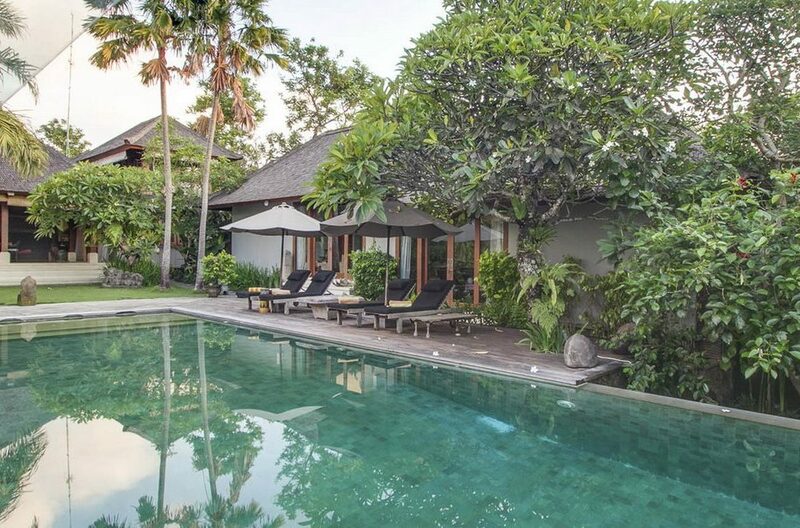 If hip Canggu is your scene, spending fun times at the very nearby Finns Beach Club or being only a 2 min walk to the beach sounds appealing, then The Beach House is right up your alley!